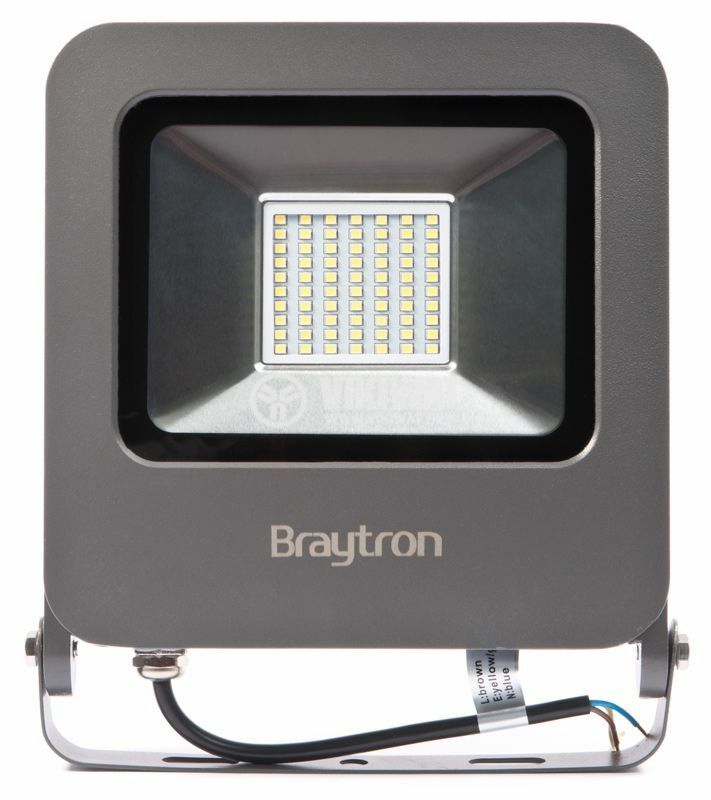 Waterproof SLIM LED floodlight Braytron with power 50W, brightness 4000lm and warm white color of lighting.Very suitable solution for outdoor installation or humid spaces because of the high degree of protection IP65. 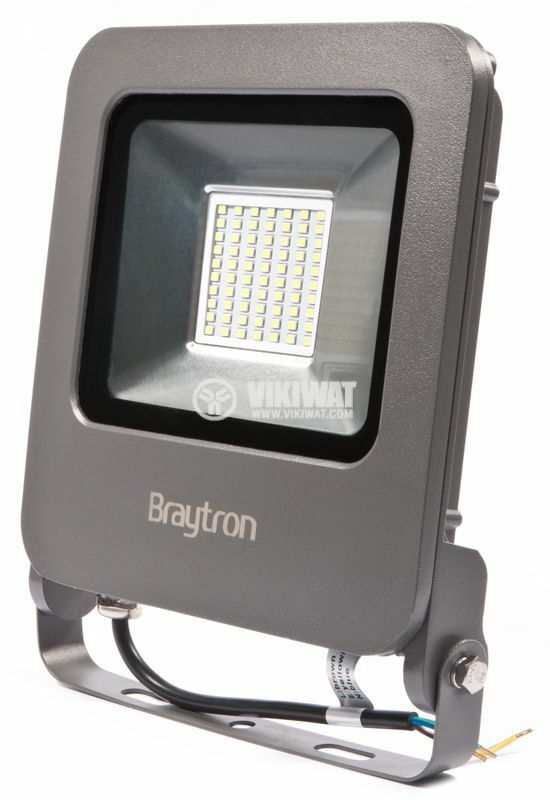 50W LED floodlights are often used to illuminate facades, warehouses, factories and large areas. 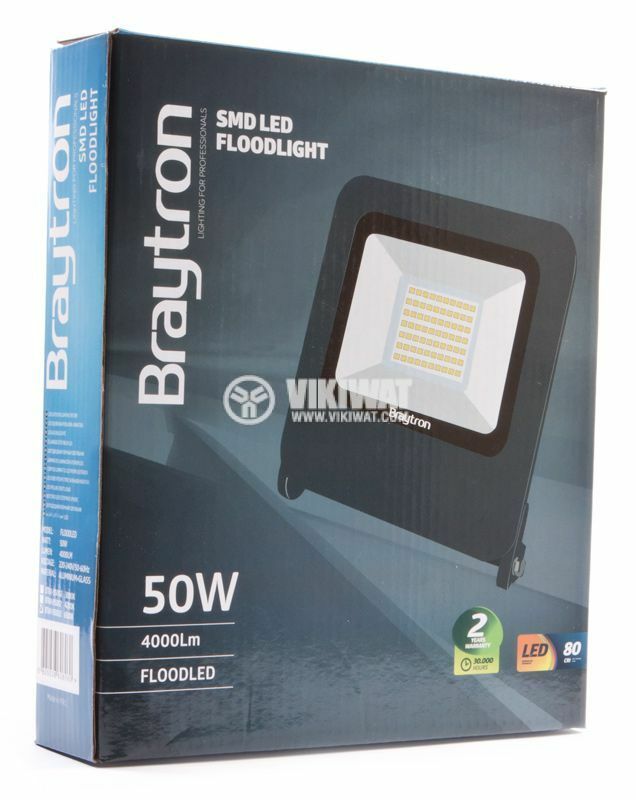 50W Slim LED floodlight from Braytron is a high quality light source with low power consumption. 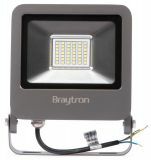 LED floodlight model BT61-05002 consumes 50W and delivers luminous flux 4000lm making it an ideal solution for highlighting large areas, halls, factories, parking spaces and sports grounds. 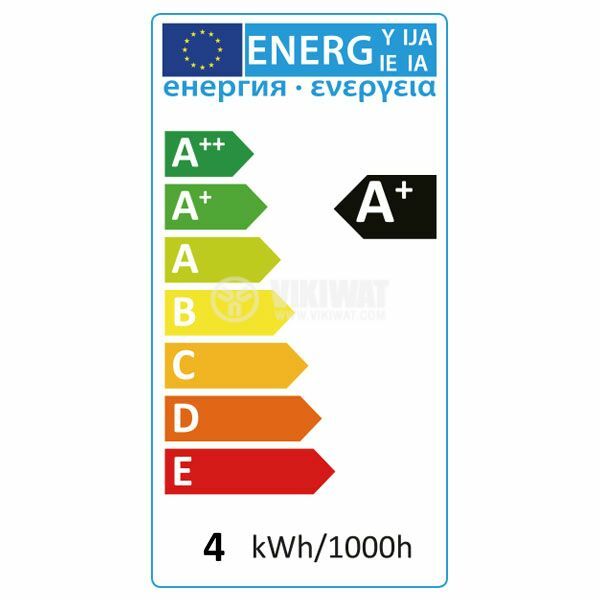 This model can successfully replace conventional halogen floodlights up to 500W and at the same time reducing your electricity bills up to 10 times. 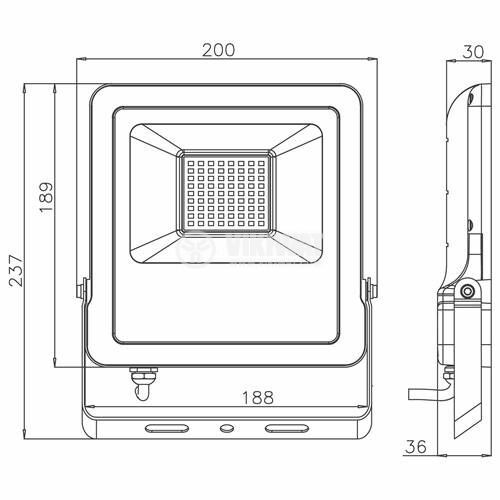 BT61-05002 has a long lifecycle - up to 20 000 hours , its housing is made of aluminum and is water and dust proof with an IP65 degree of protection, making it an ideal solution for installation in open spaces or in damp conditions. overall dimensions - 200 x 38 x 230 mm. 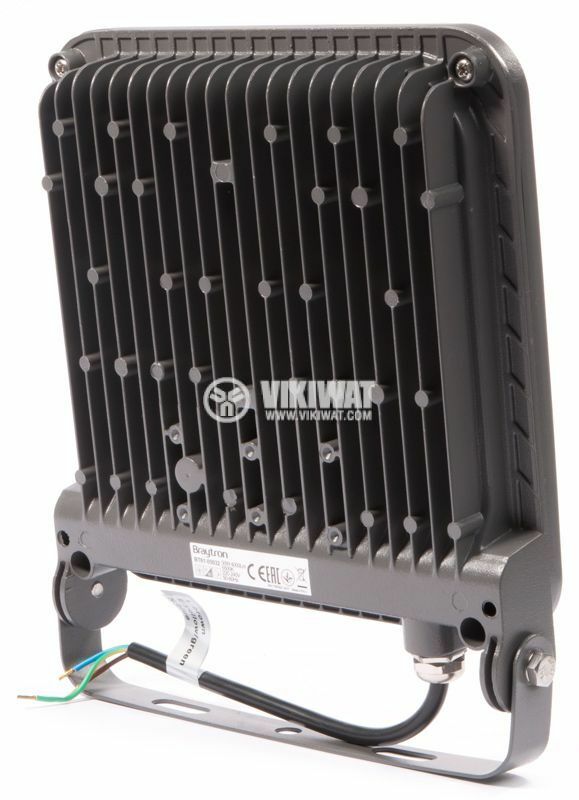 BT61-05002 LED floodlight model is NOT dimmable. If it is used with a dimming device it will be irreparably damaged.